Who can resist these beautiful little crispy, yet melting in the mouth, cookies? Not many, I think, and maybe that is why they were named “kisses”. 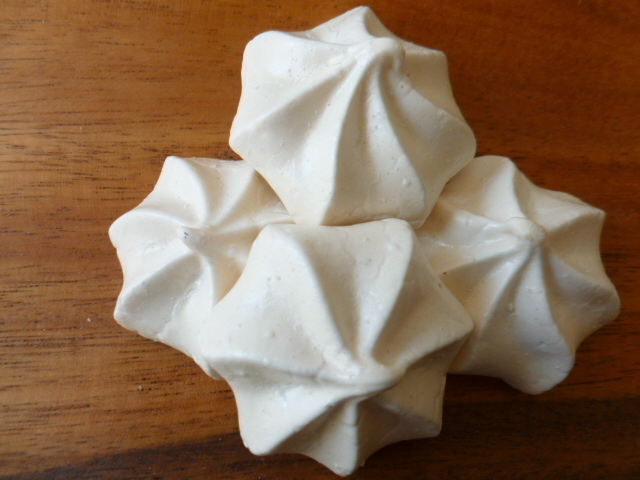 The kisses are great served on their own, sandwiched with various creams or lemon curd, or used as a wonderful decoration for cakes. In short, they are a must in every kitchen. These tasty cookies are buttery, lemony, fruity and crunchy – all at the same time. 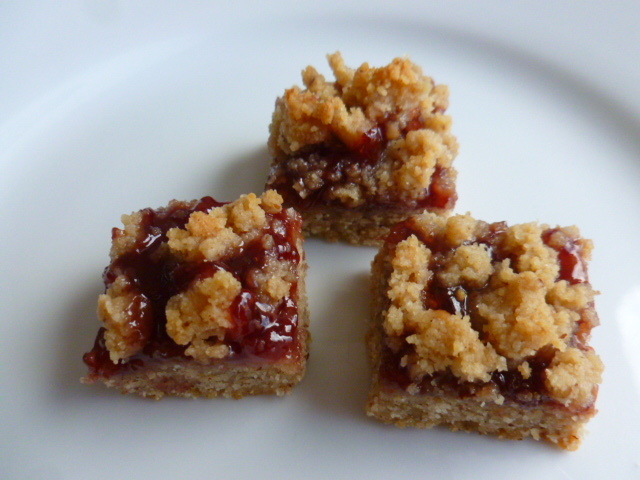 They are the perfect indulgence with a cup of hot tea, or cold lemonade. Try them and enjoy! I hope that whoever invented Chocolate Crackles cookies (also known as Chocolate Crinkles) received some kind of reward or recognition, for creating these beautiful and tasty cookies. There are many variations for these great tasting cookies, but I especially like the one here, for its’ fairly short list of ingredients and ease of preparation. 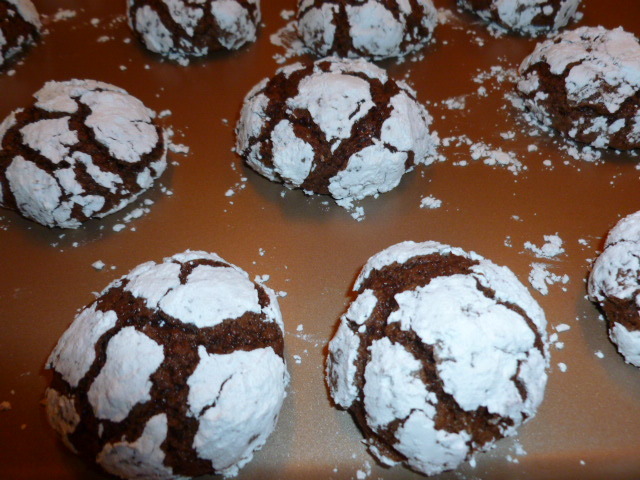 The result is chewy and chocolaty cookies on the inside, while the outer snowy-white cracked layer is crunchy and sweet. No wonder they are always a hit with guests of any age. 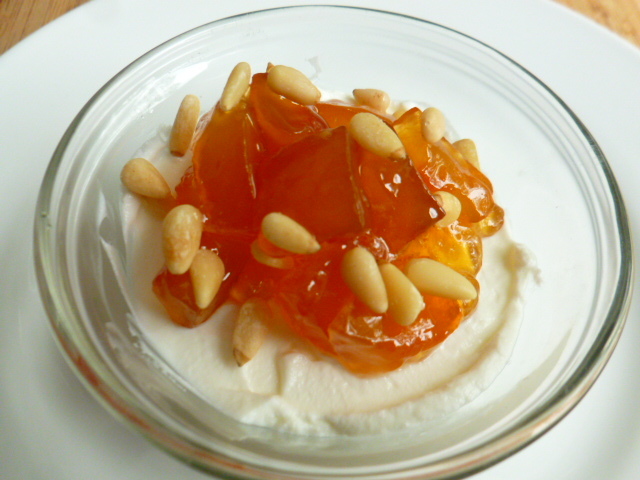 The Jewish New Year is celebrated today, and this brings back memories of traditional foods, even to an agnostic such as me. One of the culinary traditions for this event, is to dip a slice of apple in honey, and eat it as a symbol for a sweet New Year. 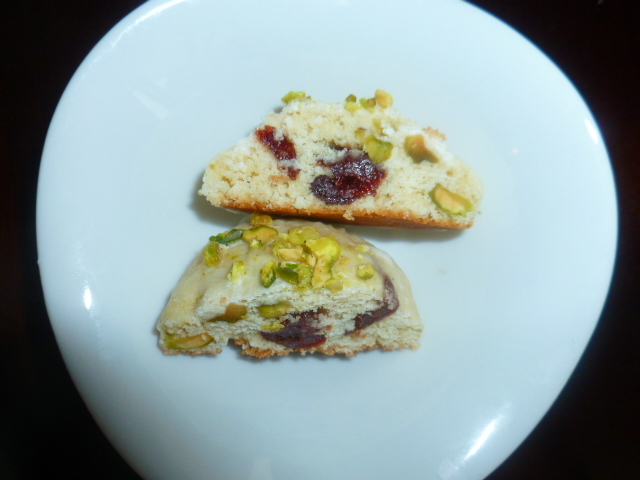 Plenty other sweet dishes are added to the table as well, in order to emphasize this hope for a sweet New Year. 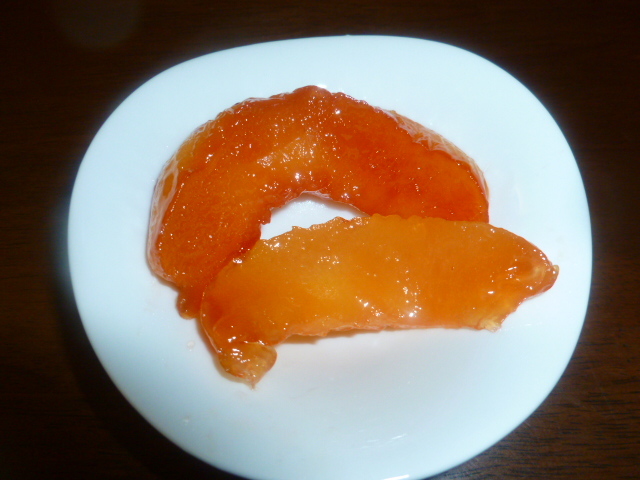 Candied quince is one of these dishes in the Sephardic table, and it is so tasty, it is well worth preparing, regardless of any religious practices. 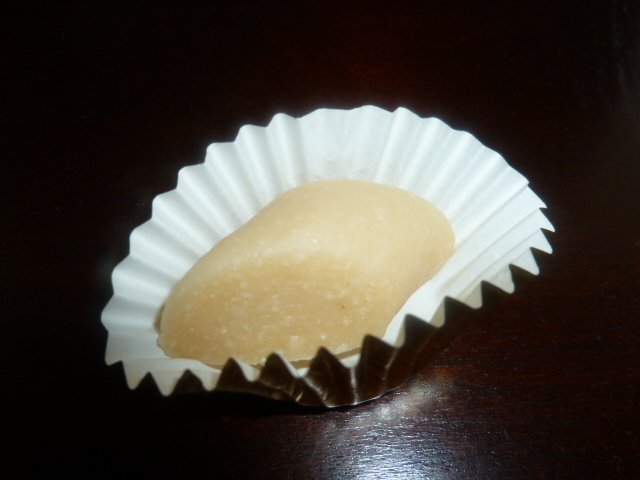 Marzipan is one of the most ancient candies we know. 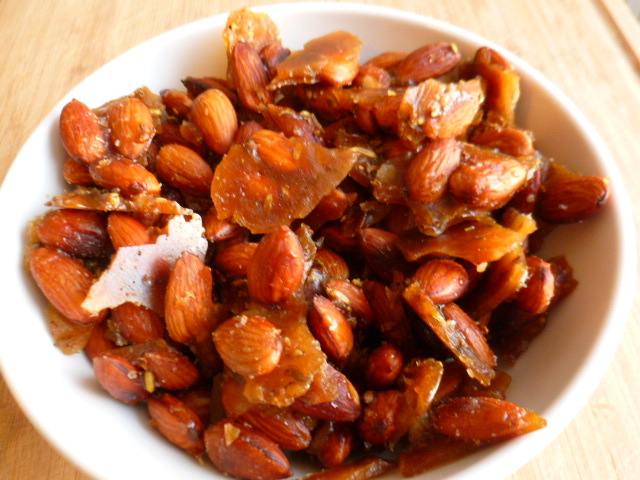 It started as a simple mix of almond meal and honey, and once sugar was introduced, it eventually became the refined sweet we know today. France, Spain and Germany are all claiming to be the place where the cooked version, which is the supreme form of Marzipan, was created, but it most likely have happened simultaneously. 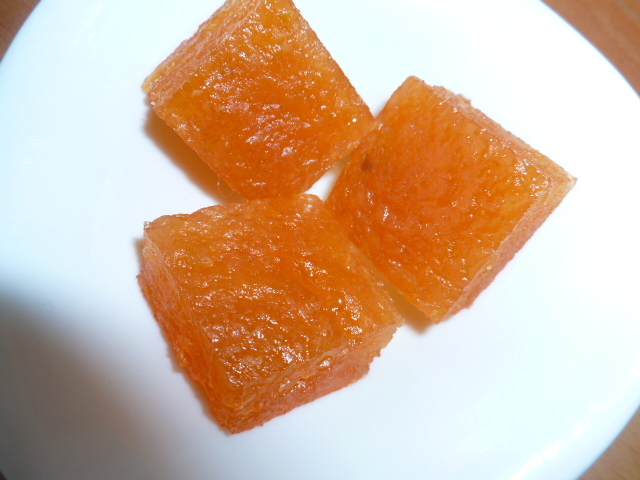 As promised, here is another quince recipe.This time it is in the form of sweet and fragrant small bites, made of cooked and slightly dried quince paste.